If I would be asked what are the most imporant baby gears that I've bought and will even recommend moms to purchase, one of my answers would be a dependable stroller. You'd see strollers as one of your bestfriends whether you're a new mom or a mom of many, like me. I admit to having tried two other brands. I tried both the inexpensive and the expensive brands. 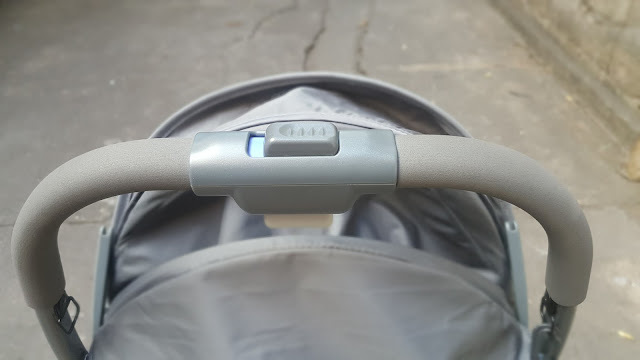 Though they both served me and my babies well, I wasn't as satisfied with them compared to my new one - Graco Stroller Featherweight. But first, let me tell you why I think every mom needs a stroller or a pushchair and why this will be one of your bffs. First, a quality and carefully designed stroller could be used from newborn up to toddler years. This said, you really need a durable stroller which you can count on during the early years of your child. Second, strollers help moms keep their sanity when out and about with their kids. Without a stroller for trips which will require long walks, you could get burnt out, tired or impatient easily because carrying your child all the way through could be tough. It's also waiting for the tantrums bomb to explode anytime. Third, a great stroller shares the heavy load, literally and figuratively, of carrying not only your baby's stuff but yours as well. 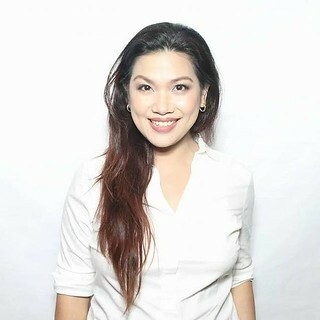 It's a one-hand fold stroller - I've had no-yaya days, so there are times I had to bring my baby to work sometimes when I'm needed to be physically in the office. So having a one-hand old stroller is a lifesaver for me because even if I have my baby in one arm, I can still use the other to fold and unfold his stroller. It's reclinable to lie-flat - Another lifesaver feature I love about this Graco Featherweight stroller is that I can lay down my baby comfortably when he falls asleep. There were times I brought him to the office and he just slept in his Graco Featherweight stroller while I go to my meeting. Five point harness kept baby safe and snug. 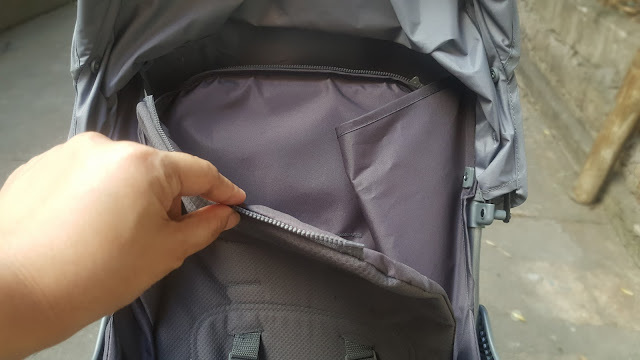 The bar is removable, making it easy to remove him from the stroller. It's has a padded and secured strap- The five point harness keeps my baby safe, snug, and always in place. Its seat pad is washable - Cookie crumbs or milk residues on strollers, not a problem this time. The seat pad is easily removable with a zip and could be washed and dried easily. Spacious storage basket - My diaper bag plus other stuff could fit underneath the chair. The last two strollers I had couldn't even fit my baby's diaper bag so we carried the bag pa. Parang, what's the use of the basket underneath? Not much help to us. 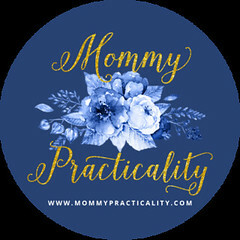 Graco may be ultralight, but it's heavily functional and helpful to moms. 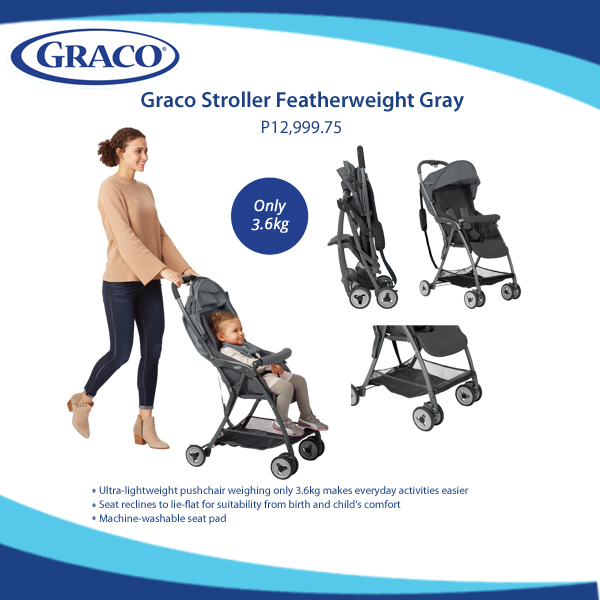 It comes with reasonable price - The Graco Stroller Featherweight Gray is only Php12,999.75. 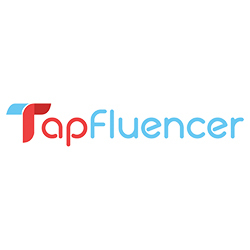 For me personally it's a practical choice if you purchase something you will use from newborn up to approximately 3 years of age. 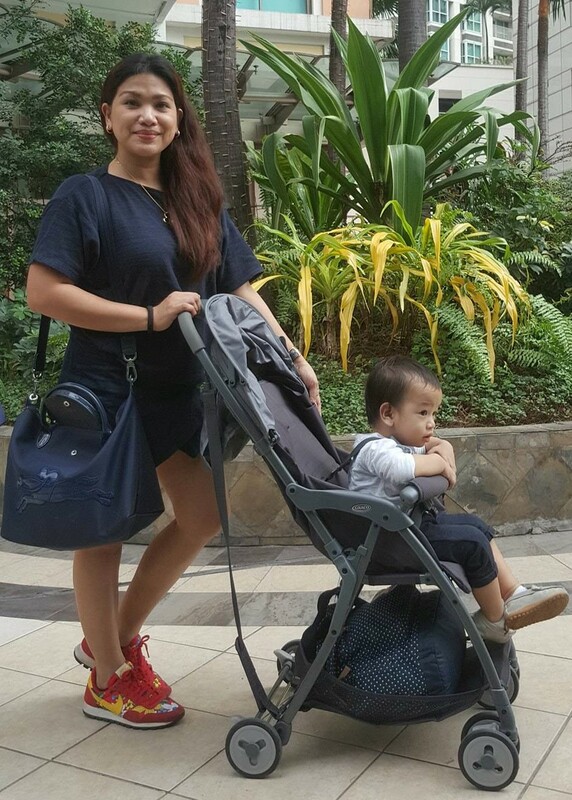 You are assured that it will last with you and your baby, hindi siya sirain unlike other strollers. You can even pass on to younger child because Graco is proven durable. It is available in Chilli Red and Black Grey colors. Graco Stroller Featherweight is suitable from newborn upto toddlers weighing 15kg and is available exclusively at Baby Company. Overall, we are happily satisfied with our new GRACO Stroller Featherweight. 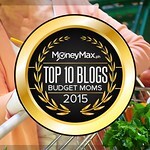 I highly recommend the this to always-on-the-go-moms with newborn babys or of toddlers. 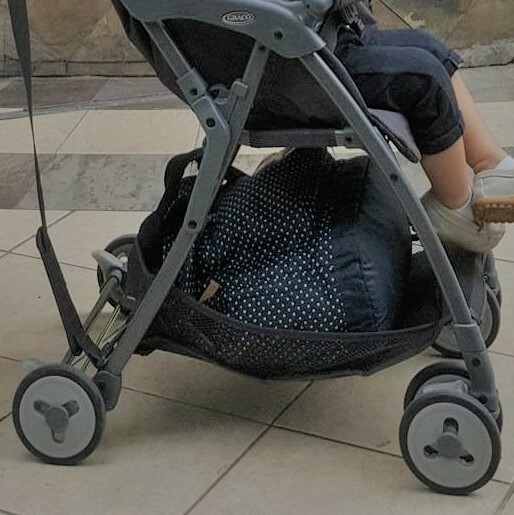 This is absolutely a stroller you would want to have even if you don't have any help available around or on no-yaya-days because it is ultralight, you can carry it, no sweat! 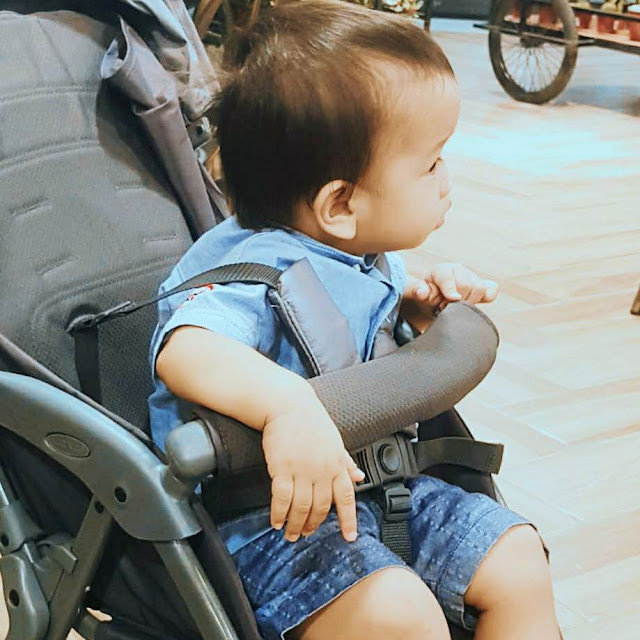 You can go by yourself with your baby, transport with the stroller or easily slid the stroller at the back of the car - yes totoo, all by yourself, thanks to the one-hand fold! We are happy to discover GRACO Stroller Featherweight, hope you consider this too when looking for a dependable, durable, practical, and quality stroller that will grow with your baby. For more information on GRACO, like Graco Philippines on Facebook.